The holidays are now officially upon us with all their wonderful and stressful sides. Tis the season to be jolly... and quite often... tired. And if you are a singer, it's also the season of lots of... singing. The problem comes when you're both tired AND singing! This combination can at best cause vocal control, pitch and range limitations and at worst, vocal strain and the onset of damage. When you are physically tired, drained, exhausted, sleep deprived or 'under the weather' for whatever physical or psychological reason, your body does not want to support your voice. It just doesn't want to work that hard. This is because it takes more glucose and oxygen to work the bigger muscles of your core - your gluts, low abdominal wall, back, thighs - than to work the smaller muscles of the shoulders, throat, larynx, vocal cords, tongue and jaw. Delegating the effort necessary for good singing to these smaller muscles is detrimental to them, causing tension to set in at all the wrong places. Be extra sure you are well hydrated. Steaming your throat in a hot shower is a great idea. Water at your performance is, too... maybe with a little pineapple juice or other helpful flavor added to keep throat tissues lubricated. Up your immediate energy level: Get simple, easily digested nutrition in... maybe add a good vitamin.mineral supplement. Do not use alcohol or other mood altering drugs to help you get through. They can mask pushing, straining and dehydration of the vocal cords. Take extra care to do your vocal warmups.It is vital to know how to 'pull' instead of 'push' your voice as you sound it. In fact, consider trying to connect with your vocal coach to warmup by phone or Skype before your performance. NON-NEGOTIABLE: You must make yourself support your voice from your low core... even if you don't feel like it! Your body won't like it, but your voice sure will. While singing, you must keep yourself tall and flexible... avoid like the plague the typical slumped posture of tiredness that will sabotage your breath control. The use of correct vocal technique for breathing, keeping an open throat and communicating authentically becomes all the more necessary when you're tired. 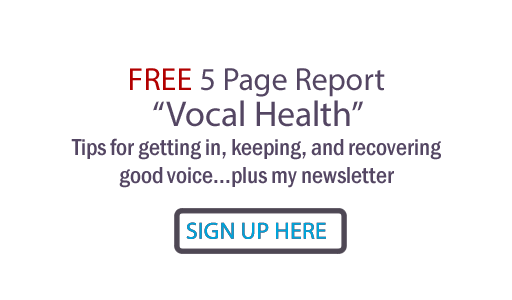 You should finish singing and notice your vocal cords don't feel strained at all. In fact, you should be able to sing even better at the end of your performance. You should feel even more physical (instead of vocal) exhaustion... and probably be hungry! If you really can't gather the low placed, big muscle energy to float your voice on top or the tall, energetic posture necessary to open your ribcage and control your breath, then by all means, don't sing. If you do, you risk short or long term vocal problems. 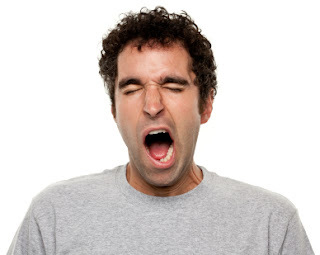 You will end up pushing too much breath through your cords to get them to work, you will experience less vocal ability and problems with notes and passages you can usually easily accomplish. You may start the 'guarded stance' habit. This is a fear induced inward crunch that tries too hard and can become a spiral downward to terrible vocal technique and real vocal dysfunction. or cancel your performance and live to sing another day!